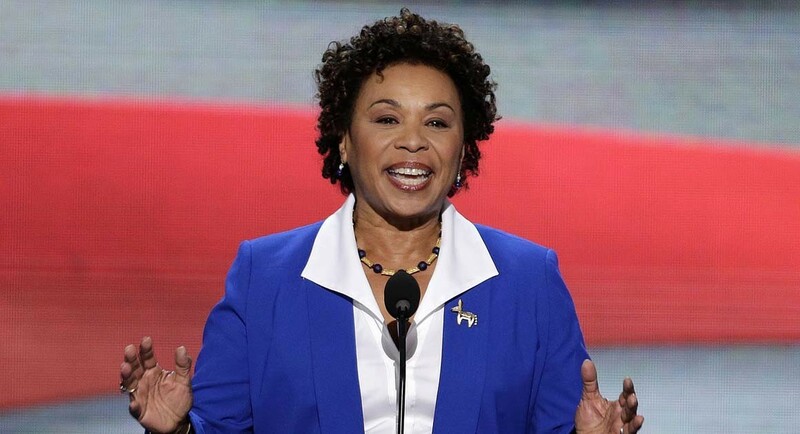 Rep. Barbara Lee is the lead sponsor of the Marijuana Justice Act. Last Thursday, I re-introduced the Marijuana Justice Act, HR 1456, with fellow Bay Area Congressmember Rep. Ro Khanna and Sen. Cory Booker. It’s not the first time I’ve introduced it — but this time around, we introduced the bill with more original co-sponsors than ever before. We have never been closer to ending the archaic and counterproductive policy of federal marijuana prohibition than we are right now. And it’s well past time that we did. More than 30 states have already decriminalized or legalized marijuana in some form. A recent poll conducted by the Center for American Progress found that American voter support for legalizing marijuana is at an all-time high, with 68 percent of respondents in favor of it. What’s more: the poll shows a majority of voters in both major political parties and independents support legalizing marijuana, with the most dramatic increase in support observed among Republicans. Another recent poll shows that 93 percent of Americans support the medical use of marijuana. But more central to why ending the federal prohibition on marijuana is so important are the consequences of leaving it in place. For decades, low-income communities and communities of color have been devastated by the failed “War on Drugs.” Although data shows whites and blacks use marijuana at similar rates, a 2013 study by the ACLU found that African Americans are nearly four times more likely to be arrested for marijuana possession than their white peers. As a result, black and brown communities have been subjected to mass-criminalization and mass incarceration. This is about more than legalizing pot. It’s about racial justice and criminal justice reform — and doing right by the communities most impacted by the War on Drugs. That’s why I’m proud to be the lead sponsor in the House – along with Rep. Ro Khanna — of the Marijuana Justice Act to tackle these issues head on. Here’s what the bill would do. First, it would de-schedule marijuana from the Controlled Substances Act, ending the federal prohibition on marijuana. Second, it would expunge all non-violent federal misdemeanor convictions for marijuana use or possession and make resources available to state and local governments interested in taking similar steps at the state level. California has already been leading the way on this issue. Under Prop. 64, passed by voters in 2017, people convicted of now-legal marijuana crimes can apply to have their records tossed. In some cities, such as San Francisco, prosecutors have moved to automatically expunge convictions in their jurisdiction. The Marijuana Justice Act would incentivize similar policies nationwide. Lastly, the Marijuana Justice Act seeks to repair some of the damage done by the “War on Drugs” by creating a Community Reinvestment Fund that would fund job training, re-entry, youth development, and community programs for the communities hit hardest by the “War on Drugs.” Because it’s not good enough just to end the federal ban on marijuana — we’ve got to make sure those already affected by it aren’t left behind. We have never been closer to ending the federal prohibition on marijuana. With bold, progressive leadership, I have no doubt that we can get this over the finish line and tackle this issue once and for all. Congresswoman Barbara Lee represents the 13th Congressional District, serving Oakland, Berkeley, Alameda and adjacent communities.